The all-new Mahindra XUV300 is about to launch and it's going to be one potent contender in India's one of the most lucrative car segments. It's the subcompact SUV which can be a game changer for Mahindra and it will be rivaling the likes of India's bestselling SUV- the Maruti Suzuki Vitara Brezza along with the Ford Ecosport and Tata Nexon among others. Moreover, it's also a crucial product for Mahindra as the homegrown UV maker has been trying hard to find success in the segment for long. The Mahindra XUV300 is based on the SsangYong Tivoli's X100 platform. The all-new Mahindra XUV300 is built on SsangYong's X100 platform which also underpins the SsangYong Tivoli and inherits some of the characters of the Tivoli. However, changes have been made to the underpinnings of the XUV300. For instance, it gets a new suspension set-up along with an entirely new steering mechanism. The XUV300 is 3990 mm long, 1820 mm wide and 1620 mm tall. Its wheelbase is measured at 2620 mm which gives it the largest footprint in the segment. Moreover, it stands 180 mm high from the ground. The cabin of the Mahindra XUV300 is finished in off-white and black. 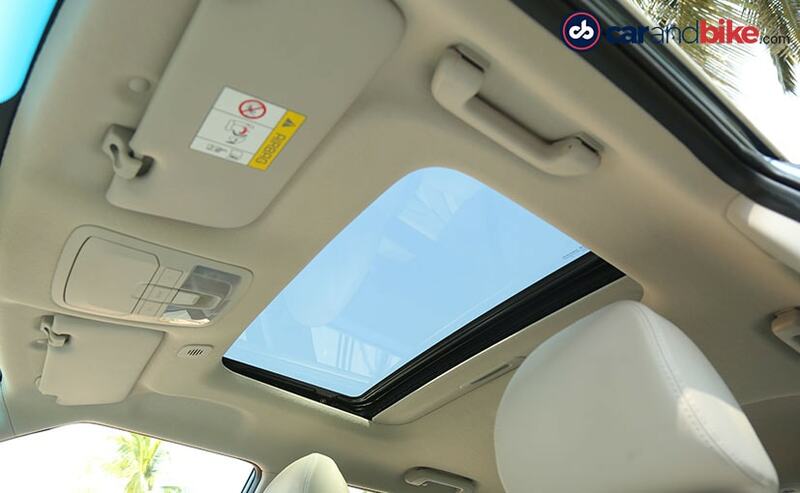 The cabin of the XUV300 is finished in off-white and black and the materials used are exact same which we have seen on the Mahindra Marazzo. It also gets the silver finish on the dash and central console and piano black touches on the doors' armrests. However, at 308 litres, the Mahindra XUV300 has the smallest boot in the segment. 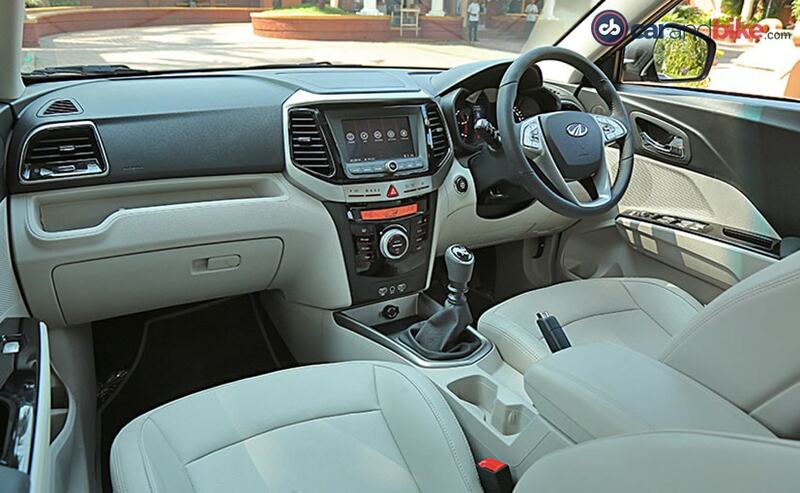 The Mahindra XUV300 is equipped with a 7-inch touchscreen infotainment system which also supports smartphone connectivity. The XUV300 is loaded with features like auto-climate control, 7-inch touchscreen infotainment system with smartphone connectivity options (Apple CarPlay and Android Auto), cooled armrest box, cruise control, steering mounted audio controls, engine start-stop button, rearview camera and more. The Mahindra XUV300 also gets some first-in-segment features such as sunroof, front parking sensors, auto-dimming mirrors and more. The XUV300 is also equipped with some first-in-segment features as well which are the dual-zone climate control, a sunroof, front parking sensors along with rear ones and an auto-dimming inner rear view mirror. However, it misses out on the rear AC vents. 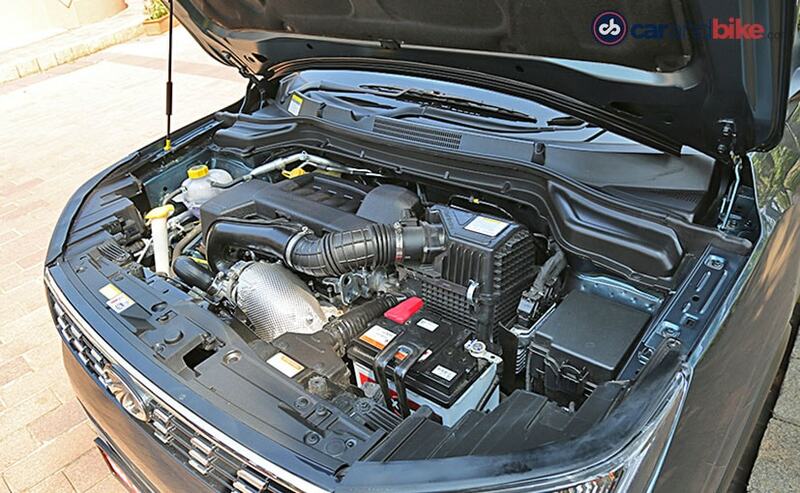 The Mahindra XUV300 is offered with two engine options- 1.5-litre diesel and 1.2-litre petrol. The Mahindra XUV300 will be launched with two engine options- diesel and petrol. 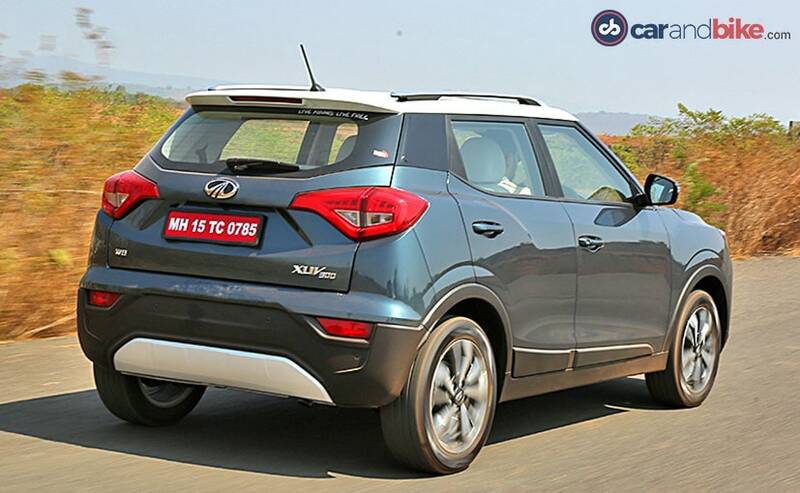 The diesel engine is the same 1.5-litre four-cylinder unit which powers the Marazzo but it's been detuned for the XUV300. Here it produces 115 bhp at 3750 rpm and 300 Nm of peak torque between 1500 - 2500 rpm. The petrol engine is a 1.2-litre, three-cylinder turbocharged unit which churns out 110 bhp at 5000 rpm and 200 Nm of peak torque between 2000 - 3500 rpm. Both the engines are mated to a six-speed manual transmission as standard and Mahindra is planning to add an AMT gearbox too in the range. The Mahindra XUV300 offers up to seven airbags including one for the driver's knees. It also gets other safety features like ABS with EBD and rear parking sensors as standard. Moreover, it is equipped with all the driver-aid features like the Electronic Stability Program (ESP), Hill Start Assis, Hill Descent Control and Traction Control. 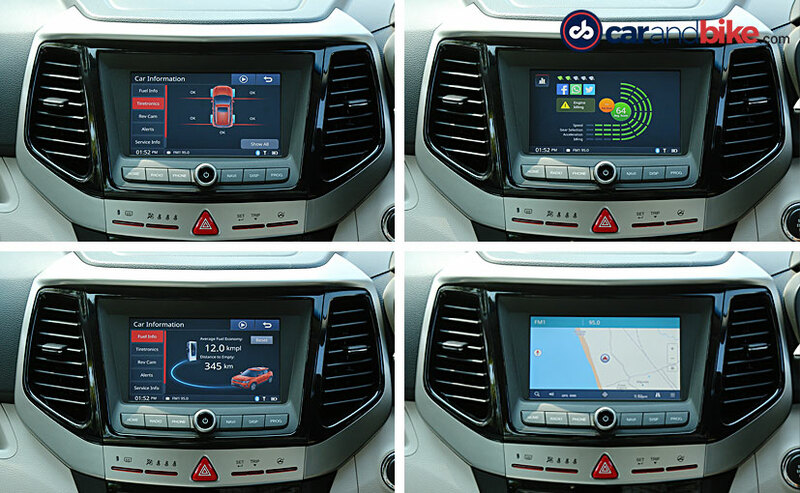 Additionally, it also three different modes to set the weight of the steering according to the traffic situations. Mahindra has started accepting the bookings for the XUV300 in January and has received over 4000 bookings so far. Mahindra is also working on an electric iteration of the Mahindra XUV300 which may be unveiled by the end of this year.